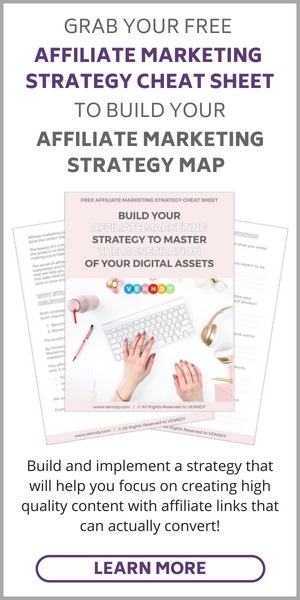 If you want to become an influencer and start monetizing your content from day one using affiliate marketing links, building shoppable carousels is the tool for you. To learn more about why you need new tools to help you monetize better, you may want to read this blog post. It might be helpful if you start by reviewing how to use the LinkCollector to create Item Pages and how to curate Stories. To use affiliate links make sure you are signed in to any of your affiliate networks (ShopStyle, EBAY, Commission Junction, Booking, Rakuten, AWIN and others). Check out this extensive list of Affiliate Networks and Affiliate Products you can join. Adding the link generator bookmarklet to your browser, will help you easily add the affiliate links to any of your items. To curate a new carousel, you always need to start from collecting a few Item Pages into a Story. 1. Generate affiliate links – If you intend to use affiliate links, first make sure you are signed in to your affiliate networks. Now go to any website with a product, service, or place you want to upload. In case of a fashion item for example, we can assume that this product is paying commission through ShopStyle, so click the LinkIt button that you previously put on your browser. If this business is paying commission for this product, the ShopStyle link generator will show you the relevant link. If not, it will tell you that this retailer is not supported. Paste the link you just copied into the Affiliated Link Box and fill in the rest of the information in the LinkCollector pop-up window. Once you are done, click the PINK VENN button and send the item to your VENNDY profile. Note that whenever you insert an affiliate link to the LinkCollector the required discloser by the FTC will show up automatically. 3. Group the Items you want to include in your blog post shoppable carousel into a story to match your post. 4. Go the Story page and copy the carousel code - Click the 3 dots at the bottom of story’s description. This is where you can edit the story, delete items, and copy the code for inserting a carousel into your blog post. On choosing either of the following two options, a text window will open up with the relevant code to be copied into your blog post. Make sure you insert the code into your HTML, wherever you want the Shop the story carousel to show up. One is to have your carousel linked directly to the affiliate links whenever you inserted one; If you choose the "Affiliate Shop the Story,” then readers will be directed directly from the carousel on your blog to the retailer’s site. The other is to link the items in the carousel to the item’s page on VENNDY. If you choose the "SHOP THE STORY” option, it will take your blog readers to the item’s page on VENNDY, and only then, after clicking the SHOP button, to the retailer. Using VENNDY carousel you don’t need to learn the different tools and presentation of each of the affiliate networks you use. It will also help you keep your blog looking clean and consistent regardless of which affiliate network you are using. 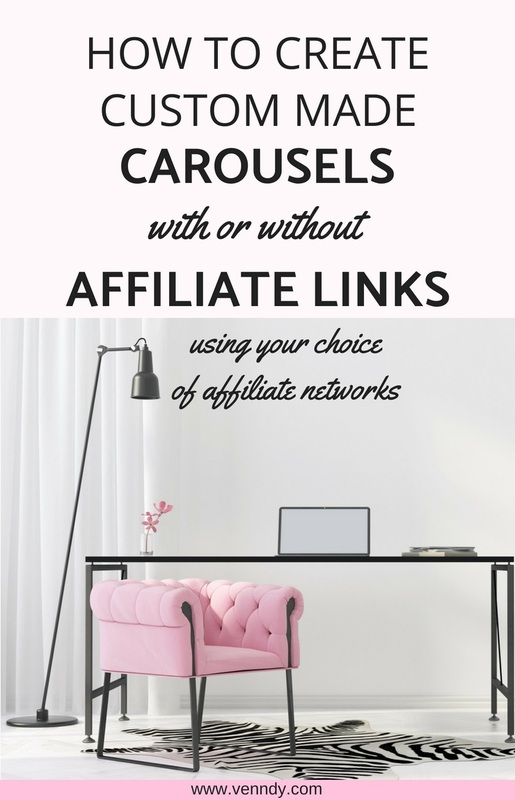 It can help you use different affiliate programs (and even non- affiliate links) into one carousel for a post. It will automatically insert the FTC disclosure to the affiliate product page on the VENNDY’s Item Page. YET, MAKE SURE TO COMPLY WITH THE REQUIREMENTS AND ADD THE NECESSARY DISCLOSURE ON YOUR BLOG OR WEBSITE. With VENNDY, all your experiences and favorite products, are gathered into one place, all categorized and easy to navigate, won’t get lost in the endless feed of your blog and help your readers quickly sort through your favorites, read reviews and make purchase decisions.